For the sixth year in a row, Frostburg State University has been honored with Tree Campus USA recognition by the Arbor Day Foundation for its commitment to effective forest management. FSU achieved the title by meeting Tree Campus USA’s five standards, which include maintaining a tree advisory committee, a campus tree-care plan, dedicated annual expenditures for its campus tree program, an Arbor Day observance and student service-learning project. In 2017, 60 trees were planted on campus on Focus Frostburg Day as part of FSU’s Arbor Day observance, and more than 250 trees have been planted over the years during which FSU has earned the Tree Campus honor. Tree Campus USA, an Arbor Day Foundation program, honors colleges and universities for effective campus forest management and for engaging staff and students in conservation goals. The Arbor Day Foundation is a nonprofit conservation and education organization that has helped campuses throughout the country plant thousands of trees. 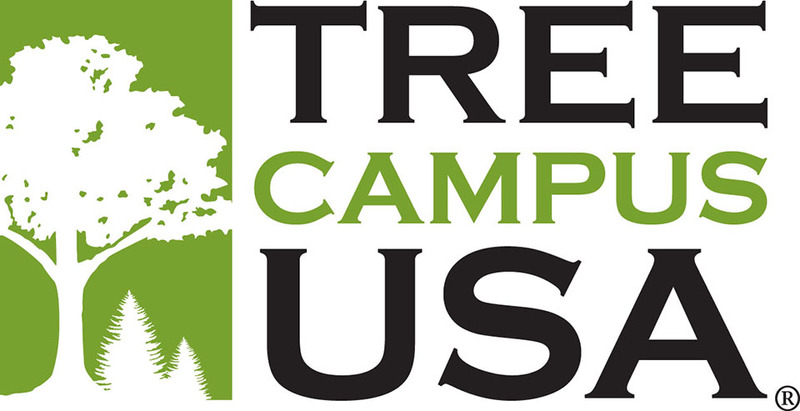 For more information about the program, visit https://www.arborday.org/programs/treecampususa. FSU’s Campus Tree Advisory Committee is chaired by Dr. Sunshine Brosi, an associate professor in the Department of Biology and coordinator of the ethnobotany and forestry programs. For more information on FSU’s Tree Campus USA activities, contact Brosi at slbrosi@frostburg.edu.